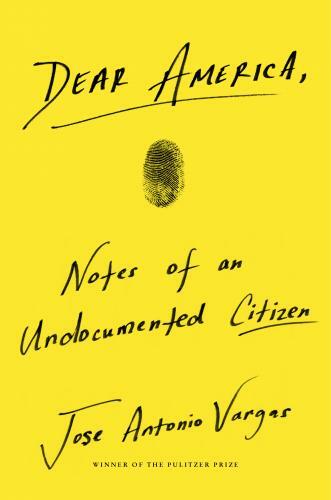 Pulitzer-Prize winning journalist Jose Antonio Vargas, called “the most famous undocumented immigrant in America,” tackles one of the defining issues of our time in this explosive and deeply personal call to arms. “This is not a book about the politics of immigration. This book––at its core––is not about immigration at all. This book is about homelessness, not in a traditional sense, but in the unsettled, unmoored psychological state that undocumented immigrants like myself find ourselves in. This book is about lying and being forced to lie to get by; about passing as an American and as a contributing citizen; about families, keeping them together, and having to make new ones when you can’t. This book is about constantly hiding from the government and, in the process, hiding from ourselves. This book is about what it means to not have a home. Jose Antonio Vargas, a journalist and filmmaker, is the founder and CEO of the non-profit Define American. His work has appeared internationally in TIME, as well as in the San Francisco Chronicle, the New Yorker, and the Washington Post, where he won a Pulitzer Prize as part of a reporting team. In 2014, he received the Freedom to Write Award from PEN Center USA. He directed the documentary feature Documented and MTV special White People, which was nominated for an Emmy Award. An elementary school named after him will open in his hometown of Mountain View, California in 2019.